Outfit 1: I can't get over the cuteness of this dress, the Ted Baker shopping bag is an absolute must-have for a lovely day on the beach and the Doc Martens are comfy for long beach walks. 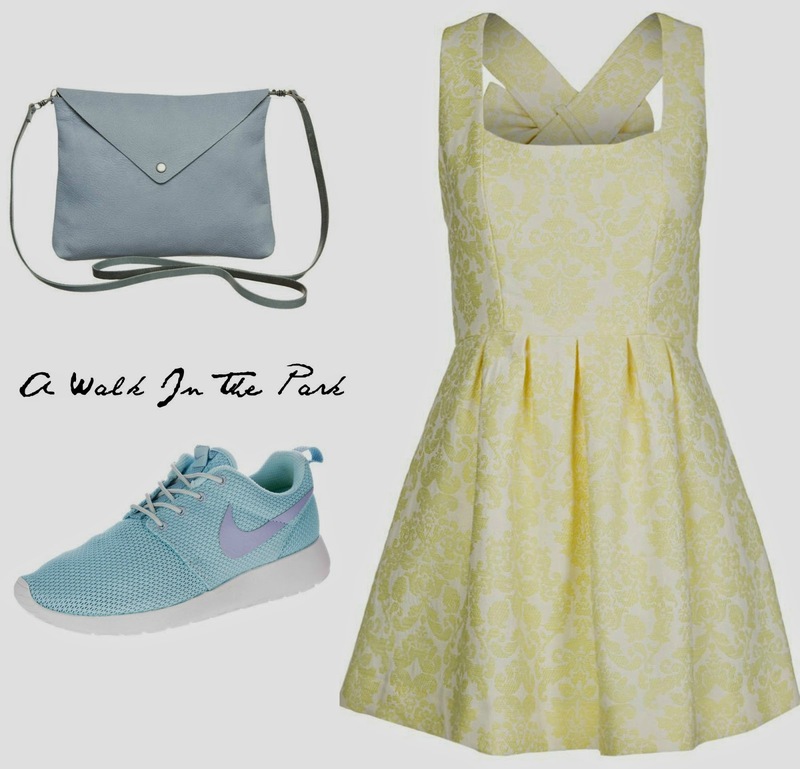 Outfit 2: I chose to combine comfy sneakers with a flower printed yellow dress. The clutch is just big enough for a phone and a wallet, which is perfect for a walk in the park when the sun is shining. Outfit 3: This is a more grown-up but still cute outfit, the heels make the jumpsuit look more elegant and wearable for special occasions and the simple but stylish earrings are so lovely!